The JurisIQ Learning Center, an online training service provided by the law firm of McAfee & Taft, has announced the release of its new Healthcare Law Compliance training module for healthcare providers, employers with self-funded health plans, business associates, and other covered entities. With the announcement, McAfee & Taft released an informational video (see video above or click here) introducing the new courses. 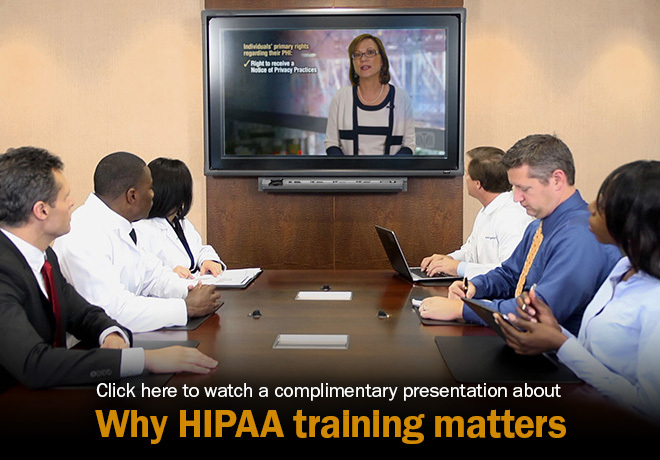 The centerpiece of the JurisIQ Healthcare Law Compliance module is a comprehensive series of HIPAA compliance training videos specifically designed to satisfy HIPAA’s training requirements for all members of the workforce. The Healthcare Law Compliance training module is the latest major product expansion of the JurisIQ Learning Center, which launched two years ago with its Employment Law Compliance training module. That module, which now features more than 30 courses taught by McAfee & Taft attorneys, provides targeted compliance training for all types of employees – basic training for the general workforce, expanded training for managers and supervisors, and detailed education and training for HR professionals, executives, and business owners. JurisIQ distinguishes itself from other online training services in that it provides unlimited access for an employer’s entire workforce to the complete library of courses in each compliance training module with an annual subscription to one or both modules.